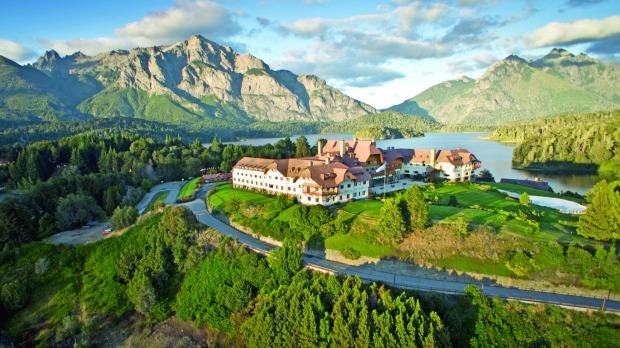 Fairytale beauty: Llao Llao in Argentina. 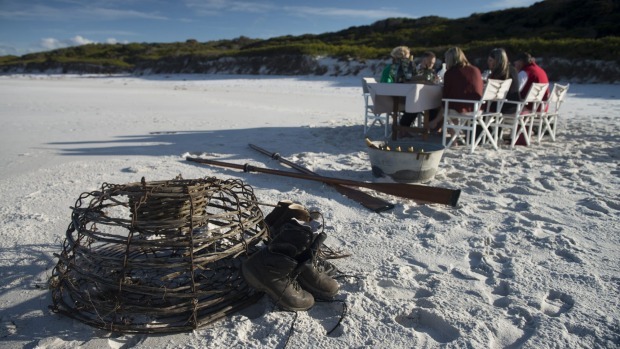 Barefoot dinner: The Wineglass Bay Sail Walk in Tasmania. 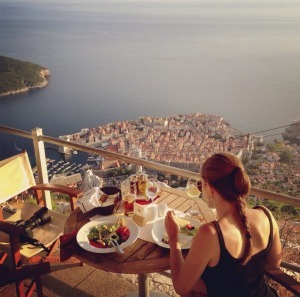 Croatian splendour: Hike, bike and eat trip is perfect for foodies. 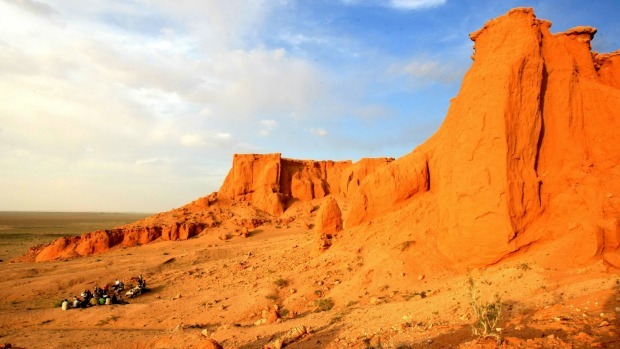 Varied landscapes: The Flaming Cliffs in Mongolia. 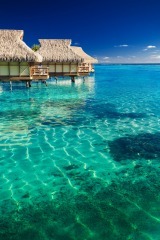 Easy does it: Clear waters in Indonesia. Kimberley wish list: There is plenty of hiking but nothing too arduous. FARE believes any revenue gained by taxing wine based on volume should go back into drug and alcohol education programs. Winery lunch: On the Tour de Grand Gourmet in Victoria. Luxury ketch: Lady Eugenie off the Tasmanian coast. 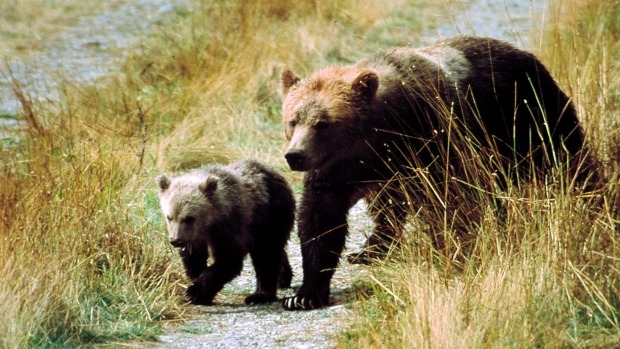 The beautiful west coast of British Columbia, Canada is home to an amazing array of animals, including the grizzly bears. Landmarks: The Church of St Mark and Parliament building in Zagreb, Croatia. Adventure travel used to be an all-or-nothing proposition. Not so long ago, outdoor adventures were only for the seriously fit and hardy: people prepared to trek for a week or more, bunking down in a sleeping bag and washing only when they passed a handy river. These days, it seems everyone wants a bit of adventure. What's more, we expect it to come with a healthy helping not just of running water, but also gourmet food and, preferably, a comfortable mattress. Fortunately, tour operators are responding. There is a huge selection of soft adventure holidays available, from cycling trips that include cooking classes and wine tastings, to outback explorations where every safari tent has its own ensuite bathroom. It's a way to connect with the destination. These soft-core options appeal to a diverse group of travellers, including ageing adventurers whose knees and hips need a gentler pace, and couch potatoes keen to stretch themselves a bit. 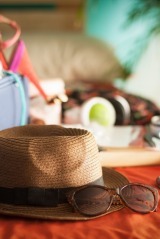 As a result, the trend has transformed every segment of the travel industry. Even touring companies such as Trafalgar are including hikes on some of their coach trips. 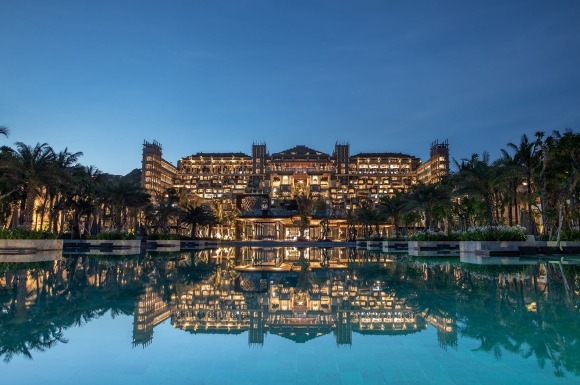 At the other end of the spectrum, luxury travel operators such as Abercrombie & Kent are also responding to their guests' desire for more activities. "There is a demand to engage and participate fully in the environment of their destination, whether that is trekking in northern India or going to see the gorillas," says Abercrombie & Kent's managing director, Sujata Raman. "It's a way to connect with the destination. Whether you are riding a horse in a little Peruvian village on a half-day excursion, or walking in Zambia, you get a completely different sense of the people and the environment." 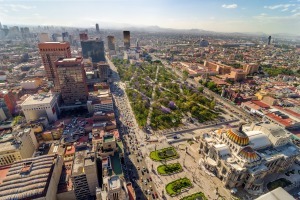 Travellers are also able to enjoy greater flexibility in how they travel, with many operators offering both set-departure trips, and encouraging guests to put together a group of their own. 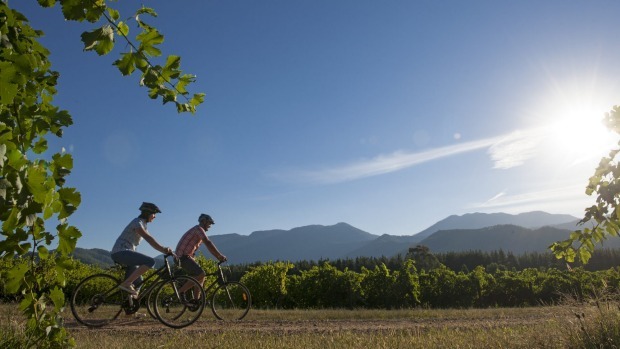 Damian Cerini of Tour de Vines, which offers gourmet-themed cycling tours in Australia, New Zealand and France, says their self-guided options are embraced by groups of friends. "Our small group trips, by contrast, are popular with single travellers, who see it as a great way to have an adventure and also meet some new people," says Cerini. Whether you're ready to dip a paddle into the adventure pool, or want to be challenged every day, take a look at our hot dozen: adventures from around the globe that will stretch you just the right amount. 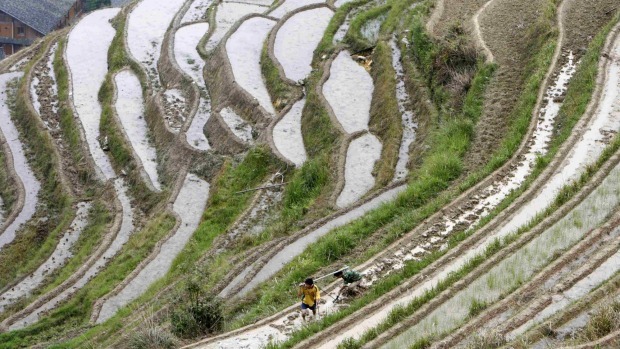 The trip Old Country Living: Landscapes of Guizhou and Guangxi. Amid terraced rice fields and jagged peaks straight from a Chinese scroll painting, discover a different side of China, as you travel through areas where minority tribes maintain their traditional lifestyles. Action stations Most days of the 11-night trip include several hours of walking along the paths that link the individual villages. Biking, hiking and rafting options are also available. Creature comforts This trip is about culture as much as adventure, with workshops in pottery and paper making as well as a Chinese opera performance. Where available, guests stay in boutique hotels; however, in some of the locations the only options are two and three star hotels. Itineraries can be adjusted to suit participants. Cost From $US350 a day a person, twin share. There's no better way to explore the Komodo National Park, with its two dozen islands, than by kayak. On this four-night trip, snorkelling coral reefs and camping on uninhabited islands are on the agenda, along with going in search of the mighty Komodo dragon. Action stations In addition to daily kayaking, there are many opportunities to snorkel, swim or even scuba diving amid turtles and manta rays. Creature comforts Most nights you will kip in a safari tent on a beach – which means facilities are limited to a toilet tent. Cost From $1500 a person twin share. 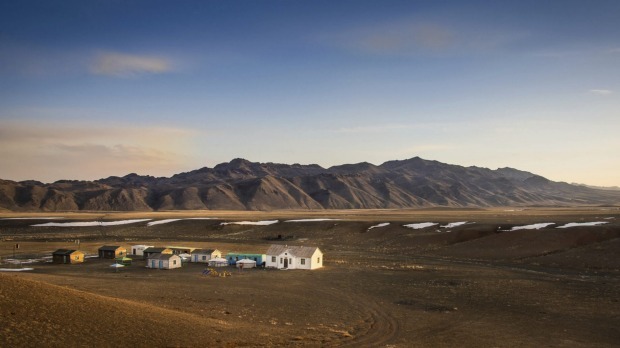 If your mental image of Mongolia is endless grassy plains, think again. This 12-night trip explores the country's varied landscapes, from the starkly beautiful Gobi desert to the rich forests and meadows of northern Mongolia. Action stations This trip is about travelling like a local. You will ride through the forested Khoridol Saridag Mountains, kayak across the magnificent Lake Hovsgl, and go camel trekking in the Gobi. Creature comforts You are travelling through some of the most remote locations on Earth, so it's not all easy going. You will be sleeping most nights in two-person tents or more spacious gers, although a few nights at the comfortable Three Camel Lodge are also included. Cost $US4895 a person twin share, plus $US840 a person for internal flights. Grizzly bears, black bears, whales and sea lions: the beautiful west coast of British Columbia is home to an amazing array of animals. This seven-night trip gives you plenty of opportunities for animal encounters, as well as taking in the stunning scenery. Action stations Put on your hiking boots. You will be hiking through rainforest, along rivers and across alpine meadows, as well as tracking bears with an expert guide. Creature comforts Luxury accommodations, such as Nimmo Bay Wilderness Resort, are just the start. This trip is studded with special experiences, such as flying to the top of a 10,000-year-old glacier for a scotch with glacier ice. Cost From $US9995 a person, twin share. There's more to Argentina than Buenos Aires, and this 10-night trip lets you explore the country's many faces, from the icy heart of Patagonia to the beautiful lakes and mountains around Bariloche. Action stations Hiking and horse riding give you the chance to soak up the scenery; other options, such as bird-watching hikes and boat excursions, are also available. Creature comforts In typical A&K style, there's plenty of indulgence from luxurious hotels, such as the Alvear Palace Hotel in Buenos Aires, to exclusive tango shows. Cost From $7925 a person, twin share. One of a series of itineraries created with documentary maker Ken Burns, this eight-night trip reveals a very different side to the national park. 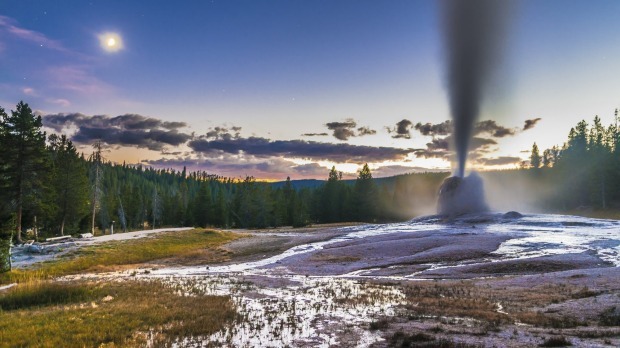 Travellers get to discover a frozen landscape punctuated by steaming hot springs, which draw huge herds of bison and elk, bighorn sheep and wolves. Action stations In addition to the included options, such as a snowshoeing expedition, this trip allows enough free time for snow enthusiasts to go cross-country skiing, ice skating, dog sledding or take a trail ride. Creature comforts A lot of exploring is done from the comfort of the snowcoach, for those who don't like the cold. Guests stay in historic lodges, including one with its own mineral hot springs. 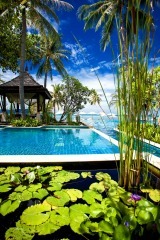 Cost From $US4190 a person, twin share. 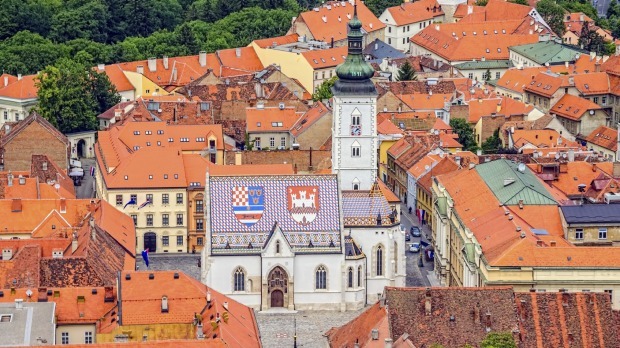 This nine-night trip covers Croatia from the coast to the mountains, from adrenalin-fuelled adventure to cooking classes and fabulous feasts. Action stations There is a different adventure every day, from cycling through the villages of Gorski Kotar to hiking the Istrian Peninsula and kayaking along the Adriatic. Creature comforts All that activity had better work up an appetite, as eating features heavily on the itinerary. From cooking classes to tastings of wine, prosciutto and oysters, you will discover different local specialities each day. Accommodation is three or four star. Cost $6940 a person, twin share. 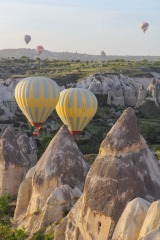 History's greatest empires have left their mark on scenic southern Turkey. 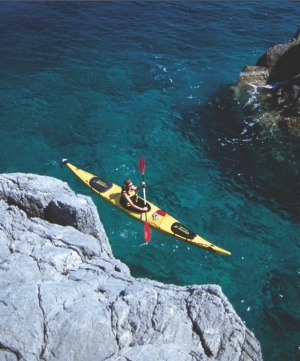 This 12-night trip combines a kayaking safari with a walk along the Lycian Way to uncover everything from ancient tombs to Byzantine monasteries. Action stations Kick off with a week-long kayaking trip, camping on deserted beaches and visiting hot springs. Follow that with four days of hiking along the Lycian Way as it wends its way along spectacular cliffs and past remote ruins. Creature comforts For much of the kayaking segment you may be camping wild on the beach. During the walk, you will be staying and eating at guesthouses. Your bags will be transported each day, so all you need to carry is your daypack. Cost From $2700 a person, twin share. The picturesque fishing towns and dramatic coastlines of Cornwall are some of England's most-loved holiday landscapes. This eight-night, self-guided trip lets you explore this beautiful area at your own pace. Action stations Saddle up every day for some cycling. It's energetic without being strenuous – the longest you will cycle on any day is 50 kilometres. 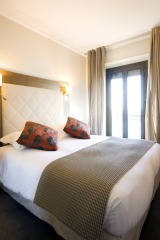 Creature comforts Accommodation includes several four-star guesthouses, and your luggage is transferred every day. Breakfast is the only included meal; if you are that way inclined, you can feast at fabulous restaurants every night, including Rick Stein's world-famous restaurant. The name says it all: this 14-night, four-wheel-drive trip takes in everything on your Kimberley wish list, from rock paintings on the Mitchell Plateau to the gorges of El Questro and the mighty Bungle Bungles. Action stations There's plenty of hiking involved – none of the hikes is particularly long, but most are over uneven rocky ground, and some involve scrambling. 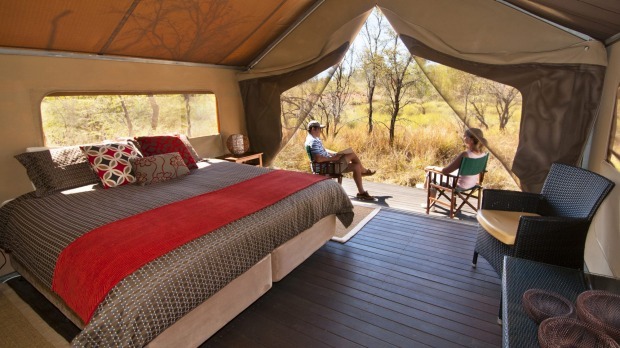 Creature comforts Sleeping in safari-style tents with en suites is a more civilised kind of life under canvas. There are few areas as well suited to walking as the Tasmanian coast, and there are few better ways to finish a day hiking than with a chilled glass of wine aboard a cruising yacht. Participants on this three-night trip explore Freycinet Peninsula and Maria Island by day, then retire to the 75-foot luxury ketch, Lady Eugenie, to head off to the next day's destination. Action stations You will earn those pre-dinner drinks, with plenty of hiking every day. Creature comforts There's the yacht, with its teak decks and just five cabins; there are three-course dinners accompanied by fine Tasmanian wine: yep, we'd call it comfortable. 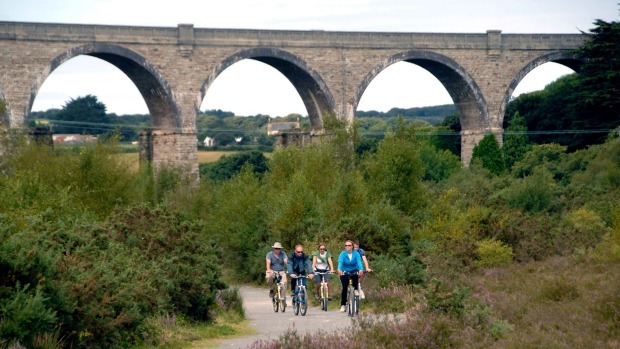 What makes for a good cycling tour? A route with beautiful scenery, perhaps with some vineyard visits and farmgate stops thrown in. 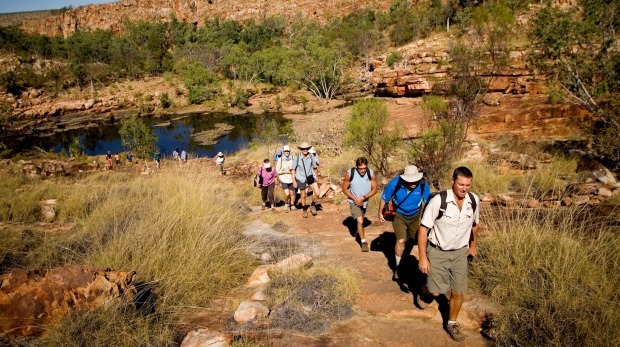 This four-night trip, which comes in guided or self-guided options, ticks all the boxes. Action stations You'll be on your bike for several hours every day; however, with a route that follows quiet roads and a dedicated cycle trail, it's easy going most of the way. 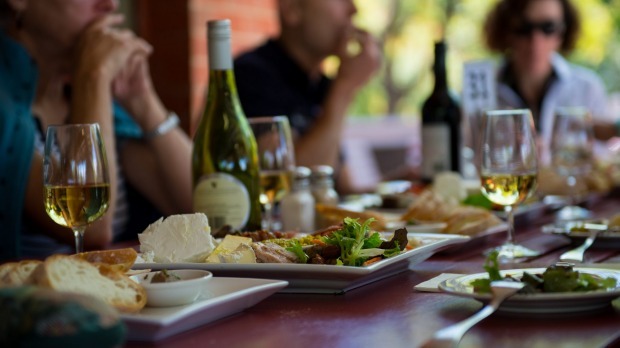 Creature comforts Winery lunches, wine tastings and even a cookery class ensure that you're not spending the entire day in the saddle. Four-star accommodation lets you sleep in comfort. Think the best way to recover from a strenuous afternoon is with a mojito? 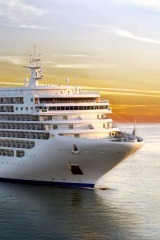 Then expedition cruising is for you. 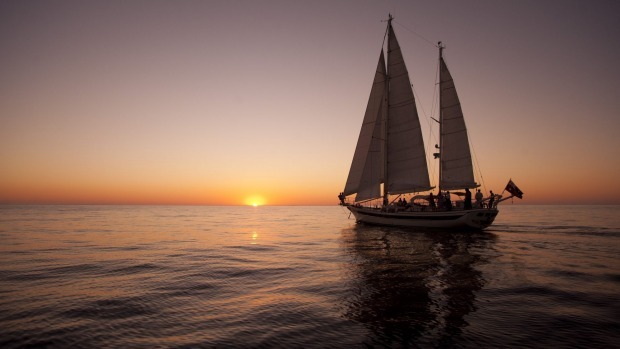 Set sail on one of these five-star adventures. Five adventurers recall their most special moments. "Crossing the treacherous passes and glacier-encrusted peaks of the Altai mountains in western Mongolia. From up high, we had this unbridled panorama – hundreds of thousands of kilometres with no fences, the only sign of humans being the white flecks that were the tents of the nomads." "I spent four years as a guide in Africa, and I loved travelling through Mali. Moving through different areas of the country, the tribes are so distinctive, you can tell by the facial painting and the clothes whether they are nomadic herding groups, more sedentary tribes, or Tuaregs. We travelled on a combination of trains, four-wheel-drive vehicles and on a pirogue down the Nile River – that's how we got to Timbuktu." "Trekking with gorillas in East Africa was really spine tingling. We trekked through deep undergrowth for about an hour before we came across a family of gorillas and spent an hour with them. We were in touching distance – sometimes they actually brushed us as they went past. Most safaris, you are sitting in a vehicle – being out there with them was just incredible." "Climbing Everest is as big a high as you can get. It's not just about the climbing: although the expedition lasts six weeks, years of preparation go into it. The views are spectacular: you do have to consciously stop and look at it, instead of just concentrating on your feet and your breathing." "The year that my wife and I spent living in the Kimberley wilderness was quite something. The landscape itself is enormously powerful, and the sheer isolation was quite something. We felt humbled being there."